Whenever you gain life, you may pay (1)(White). If you do, put a +1/+1 counter on target creature for each 1 life you gained. Definitely a fun list I was play testing it for a bit as well. It does exactly as what you envisioned it to be, a restrained combo list. All the cards I would consider recommending is already in your maybe board but I highly suggest considering adding in Steelshaper's Gift to the main board. Reason why is due to Orzhov colors needing that extra boost in Card Advantage (CA) or mana. More often than not it would go for Skullclamp or Sword of the Animist , and utility wise it will go for your Nim Deathmantle / Deathrender . On a side note, I wasn't entirely happy to see Cradle of Vitality all the times I drew into it, always felt a bit lack luster. Some more cards you can consider if you want to add in more creature heavy route would be Oversold Cemetery as a possible recursion engine, albeit a bit slow. Anguished Unmaking is also a great removal spell in Orzhov. 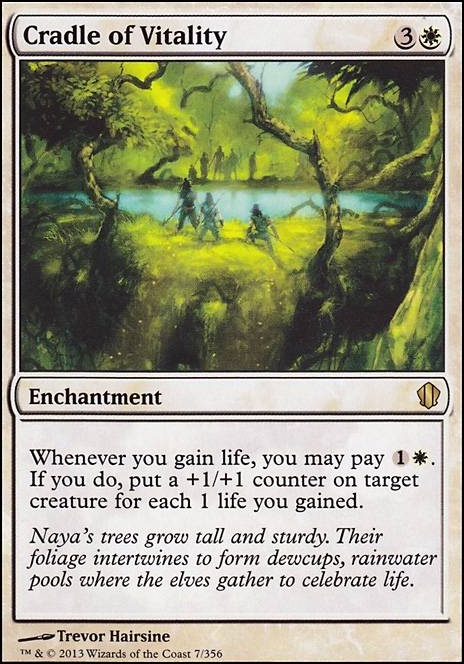 Any thoughts about Cradle of Vitality for creature pump? The reasons the card listed above to cut is one of few reasons either they don't do much, better alternatives, or they don't further your game plan enough to make an impact. By meta I meant, the type of decks you are facing as your meta might be filled with more aggro players than if that's the case you might want to add in a Ghostly Prison for example, or if you are facing a lot of reanimation decks than adding in a Relic of Progenitus or Tormod's Crypt can be fairly helpful. Against control players than you might want to consider a lot Silence/Orim's Chant effects. Aside from that, some non-budget friendly cards are the obvious Mana Crypt, Mana Vault, Teferi's Protection, or Vedalken Orrery. 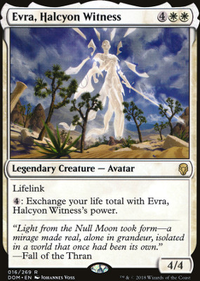 Winding Canyons can also be helpful to flash out Evra or your Felidar Sovereign to sneak in that win. If you have a decent lifegain engine going, than something like Carnival of Souls could work really well for ramp, but depends when you're getting tokens. Black Market also helps with mana, but 5cmc isn't easy to get out early to pick up those counters. Decent cards that work on death triggers: Dark Prophecy and Smothering Abomination trigger even if a token dies and can provide some great card draw. Jar of Eyeballs is a strange little card. It lets you not only tutor, but arrange your deck. Proper Burial provides life gain and triggers even on a token's death. 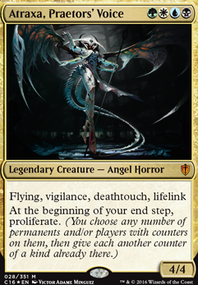 Requiem Angel is another high cmc card, but it can really net you a lot of tokens. 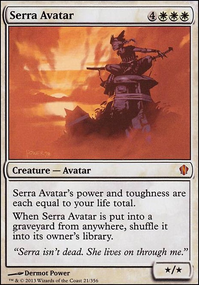 Sunbond and Cradle of Vitality are some neat ways to buff your commander(s) or other creature with life gain. Could work nicely with Elenda, the Dusk Rose. No problem! I would honestly say both Mystic Remora and Rhystic Study should be included, but the price tag on Rhystic is a bit expensive these days (I miss it when it was $2). Kismet is great but since you are heavier on the blue, Frozen AEther might be better. While I do love the Sanguine Bond/Exquisite Blood combo, its been too slow nowadays. So that wincon was actually replaced by AotSS (Approach). Cradle of Vitality seems slow and doesn't do much so that could be cut, Sun Droplet as well. You can also consider cards like Azor's Gateway Flip to end games with Torment of Hailfire or Exsanguinate. Always feel free to ask for help! You can check out my Esper control deck for more insight! Hiya, well hkhssweiss put me on to this. It's a very interesting build with a good midgame. 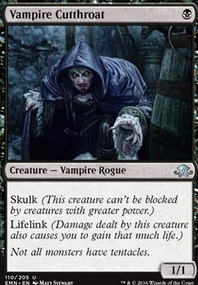 How do you feel about using more lifegain synergies? Sage of Hours / Archangel of Thune / Soul Warden or her various sisters, Sunbond works just as well with Sage of Hours especially with your commander going on the offense 4 life gained --> 4 +1/+1 counters on Sage of Hours --> Activate the Sage for an extra turn. Archangel of Thune Provides a mass buff to your board with each lifegain trigger. Cradle of Vitality is slightly more mana intensive but allows more flexibility and potentially doubles your commander's P/T with each passing turn.